Media player Windows Media Player has a number of disadvantages (vulnerability, demanding of computer resources). If features and capabilities of this player you are not satisfied with, find him a quality replacement. Click on the Download link located in left column of this page. 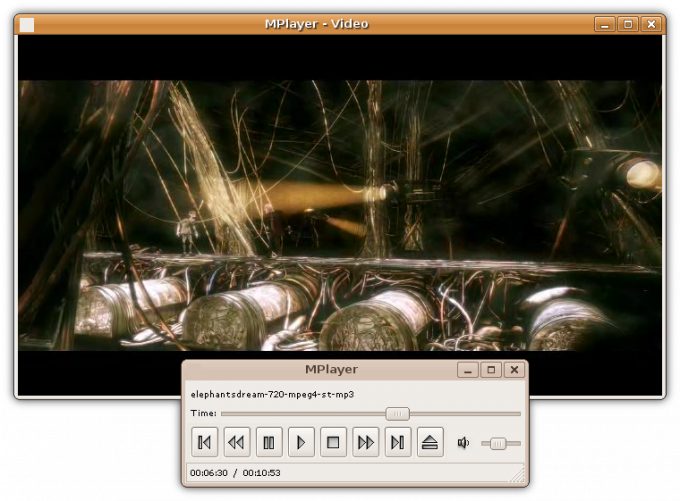 Find the section Binaries, and point MPlayer Windows with SMPlayer GUI (recommended). Download the. EXE file on the HTTP link located to the right of this paragraph. Save it, run the installer and then install with it player MPlayer. Player which you just installed, unable to access the codecs that are already present in the system. He began to accept files in various formats that you find on the same page Binary Codec Packages section, and click Windows x86 20071007 (the numbers at the end of the name can vary). Download the ZIP archive of the HTTP link located to the right of this paragraph. Using the Windows search system files and folders, locate the folder called codecs. Open the downloaded archive with any archiver (e.g. 7-Zip), then copy all the files with the codecs in this folder. Click on the green button Real Player Free Download, download setup file and install the player. Try not to use it for any purposes other than streaming, broadcasting. Do not download by mistake player Plus Real Player (click to download below and has a blue color) - this is the paid version of the normal Real Player. Check out the work of both players. First try to run a few audio and video files of different formats, and the second is to open multiple streaming links and listen to the Internet broadcast. Do not download files from pirated sources. Don't listen to Internet radio or download large files in the absence of unlimited Internet access.